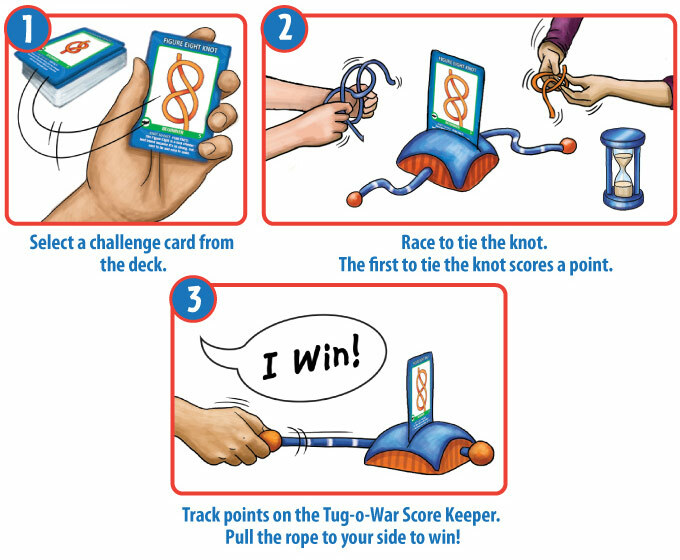 Knot So Fast is a multiplayer knot tying race game. Players earn points by being first to correctly tie the knot shown on each card. The rules are simple, but a few clever twists even the playing field for beginners and experts to play together. Knot So Fast introduces a wide variety of knots, requiring players to think with their hands and exercise spatial skills. Great for scouts and sailors of all ages, and for anyone who enjoys a hands-on challenge!